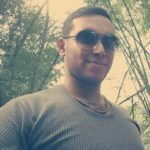 Published on: April 12, 2017 by Manu M.
This post is about truncating eximstats database. The scenario is considered when the database size increase to large size. This can occur due to high mail queue or spam issues. If your eximstats database has gotten pretty large, chances are you have a spam issue and may want to check your /var/log/exim_mainlog log to see if you have any kind of spam activity going on. So what is eximstats database? Eximstats parses the exim log to produce text and graphical data, i.e. number of successful and unsuccessful delivery etc . From WHM we can analyze the email queue by from “Home » Email » Mail Queue Manager“. The eximstats normally analyze the exim mainlog and syslog files to generate a statistical output. Here I’m explaining the way to remove contents from the database Eximstats. 1, SSH to server as ‘root’ user. 2, Enter to MySQL command prompt. 3, Use the database eximstat. 6, Quit from MySQL prompt.